Jim Sillars, former deputy leader of the SNP, has attacked the Scottish Government over its controversial state guardian scheme. Addressing more than 200 people at an event hosted by the No to Named Persons (NO2NP) campaign group yesterday, Mr Sillars said it would be “politically foolish” for the Government to proceed with the plans. Commenting on a recent commitment to introduce revised Named Person legislation, he said the “logical position is not to proceed”. The SNP veteran told attendees, “my advice to this Government is this isn’t going to work. 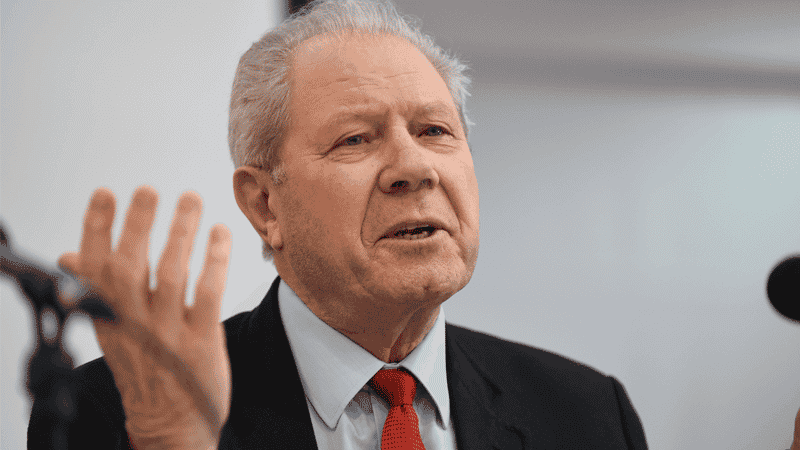 Mr Sillars insisted that the idea must be scrapped, saying that implementing it would “sour relations between the SNP Government and millions of people”. The NO2NP event involved key members of the campaign group, which is supported by The Christian Institute, other charities, academics and more than 30,000 Scottish residents. Speakers included Aidan O’Neill QC and other members of the legal team which successfully challenged the Scottish Government in the courts. Social work expert Maggie Mellon and sociologist Dr Stuart Waiton also spoke. The original plans for a Named Person scheme allowed professionals to share sensitive data about children and families under the low threshold of ‘wellbeing’ concerns. However in July last year, the UK Supreme Court ruled that central data-sharing provisions in the scheme contravened human rights legislation. Deputy First Minister John Swinney initially said the plans could be tweaked and rolled out before Christmas. But earlier this month, after a period of consultation, he admitted that a new Bill would have to be drafted and introduced this year, with implementation not likely until 2018. Crucially, Swinney also revealed that in the new proposals, sharing of personal information under the Named Person scheme will have to comply with existing law. In response, NO2NP said: “However they try to spin it, this is a major climbdown by the Scottish Government.